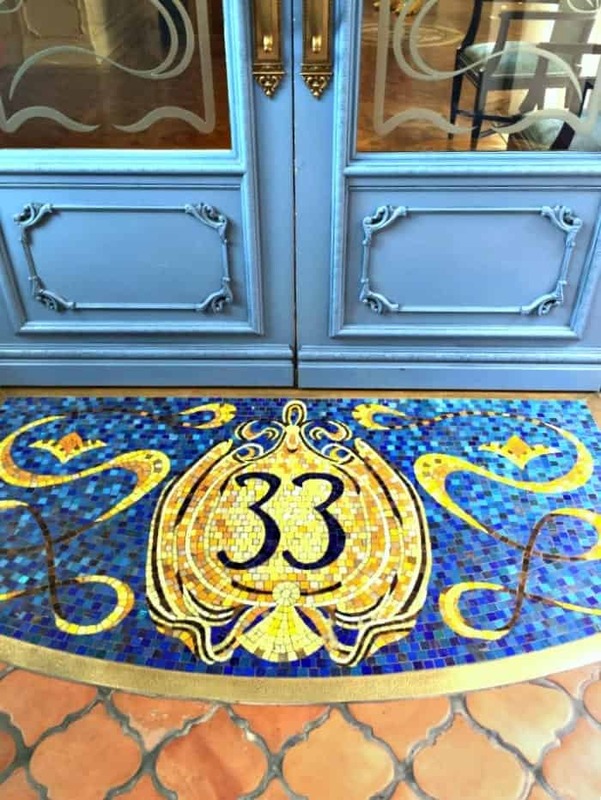 So excited to share my experience at Club 33 Disneyland Resort! This was one of those experiences I will never forget. 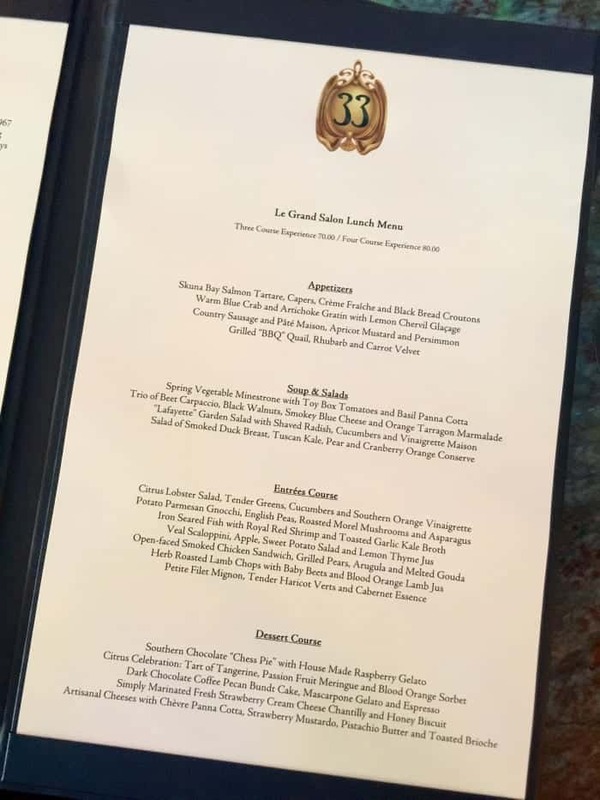 I was lucky enough to join a Club 33 Member for a lunch experience that blew my Disneyland loving mind. Let’ start from the beginning. I shared this experience with my Sister-In-Law Kacie. 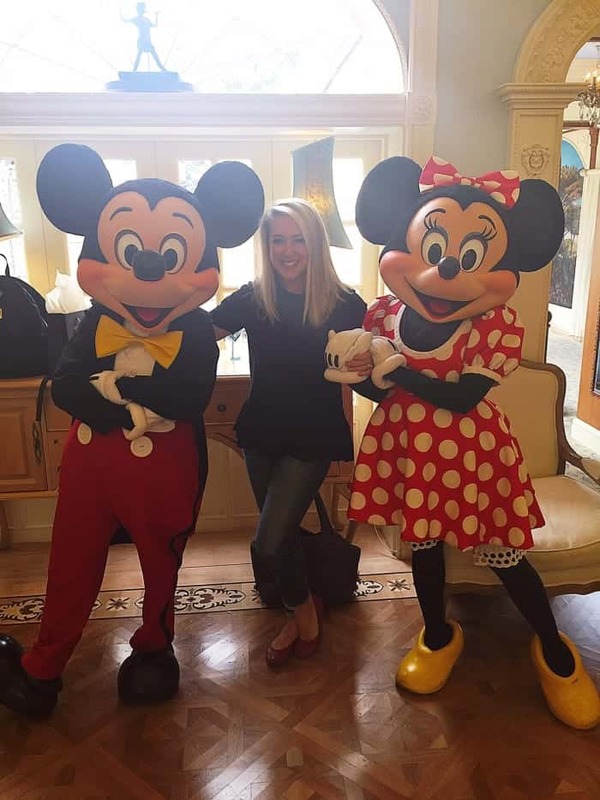 She is a major Disney fan as well. We were like little kids in a candy shop! 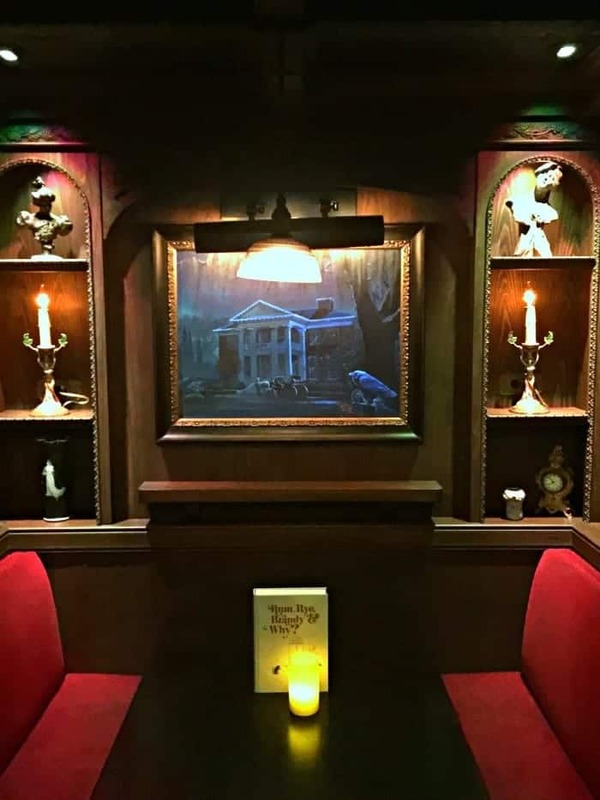 This is the door to get into the lower level of the club. You have to ring that fancy doorbell above to get checked in. 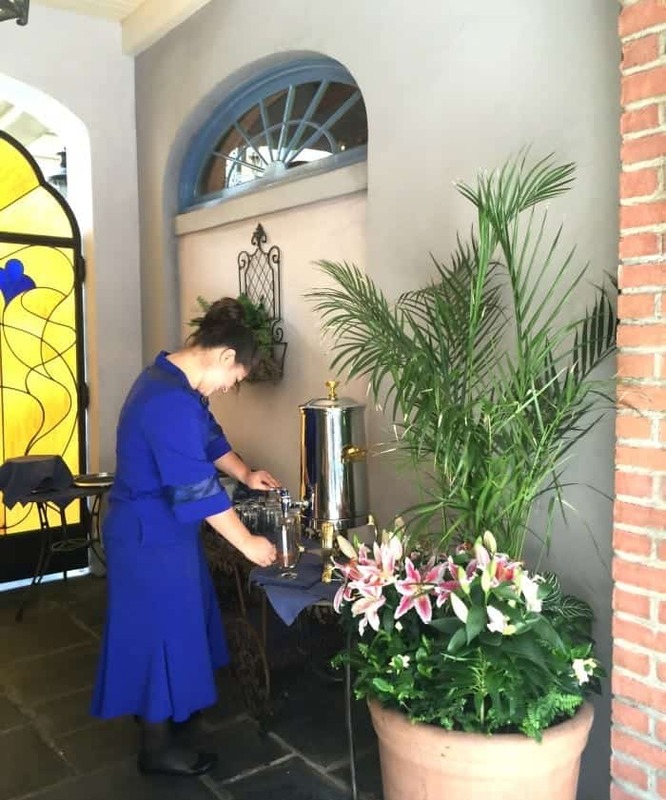 You walk through a little lobby that takes you out into a courtyard. The Cast Member asked us if we’d like hot chocolate before walking up to the club. Oh my gosh it was like the best hot chocolate ever. Depending on the time of day you come in, there’s other drink options available. As we were leaving I saw that they had Honey Limeade as the drink. Mmmm!! 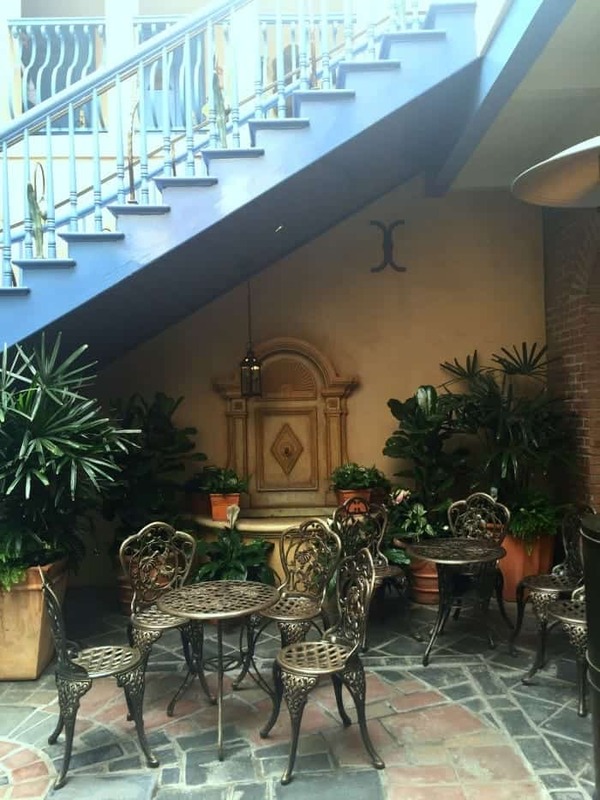 As you walk out of the lobby, this cute little sitting area is to the right. 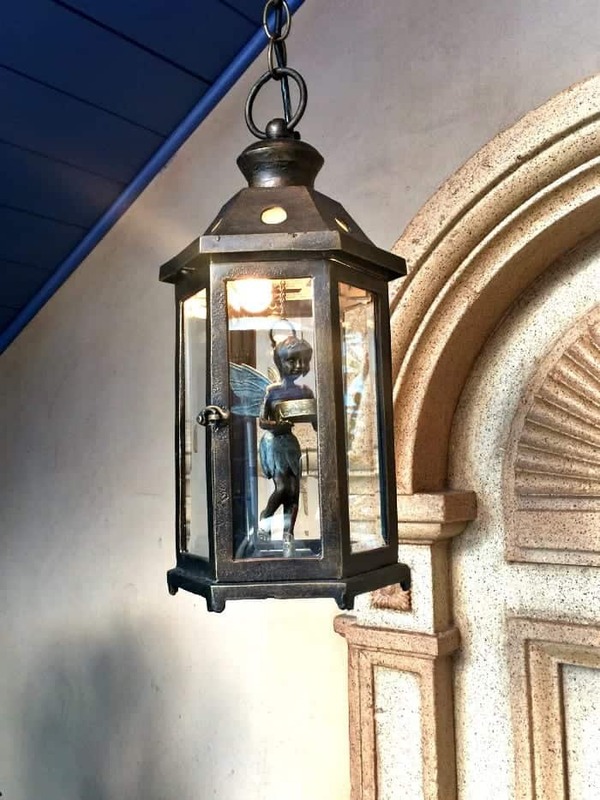 Tinkerbell hangs over a water feature in this sweet lantern. Love this!!! 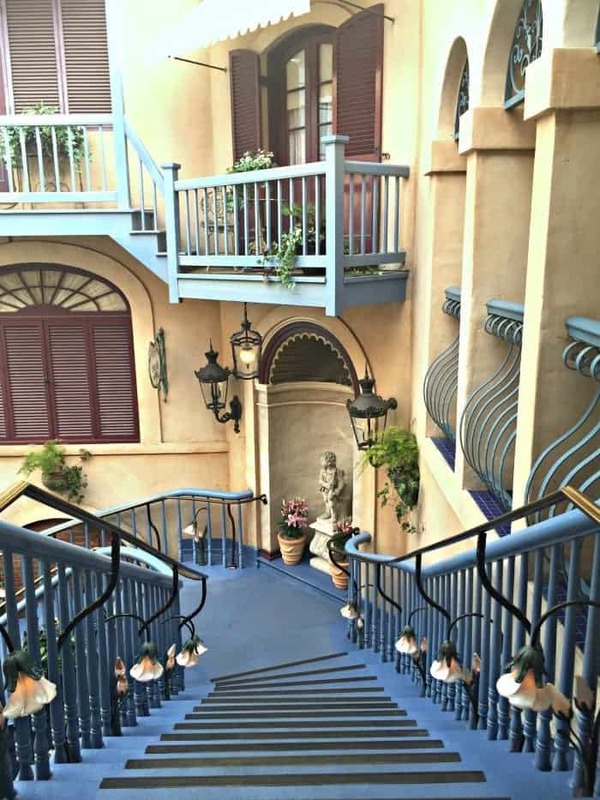 To get up to the club, you either take this grand blue staircase or you can take an elevator. You are greeted with this beautiful mosaic Club 33 tiled floor and lovely blue doors. 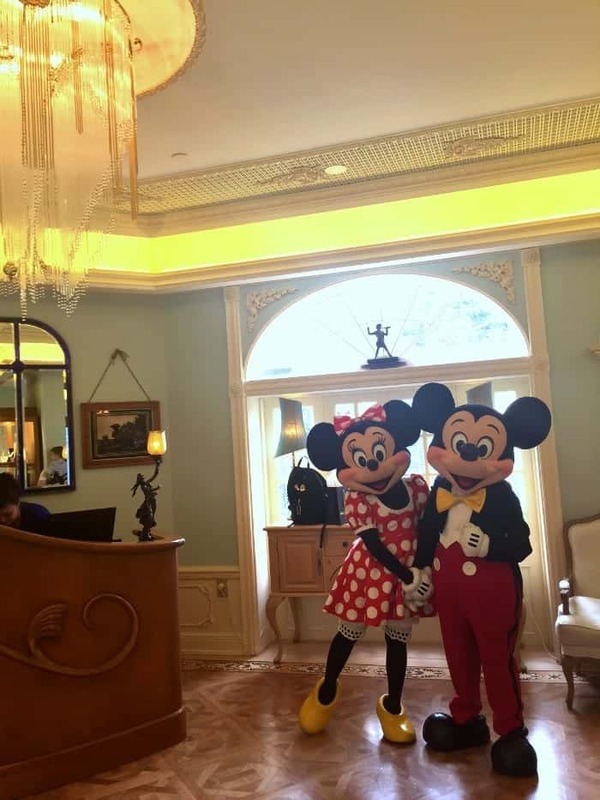 We ran into these two cuties before we left! 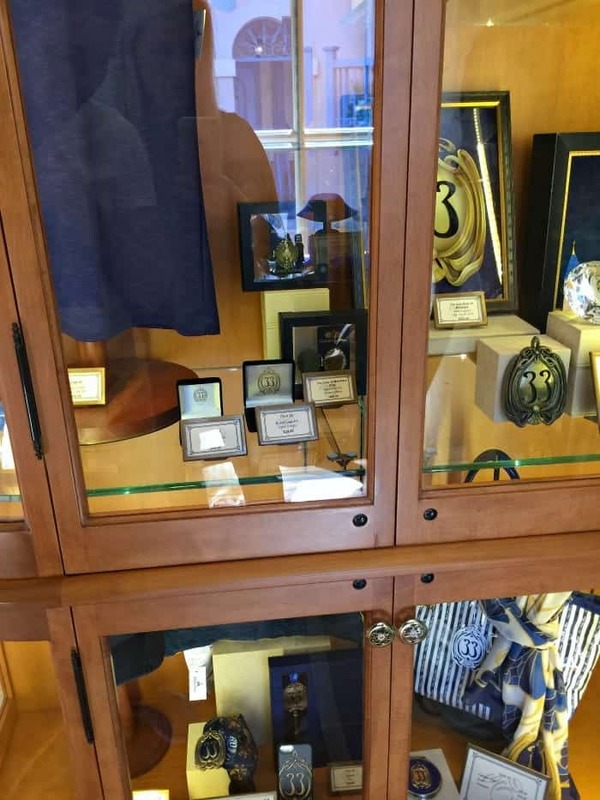 Inside this case is all kinds of Club 33 merchandise for sell. 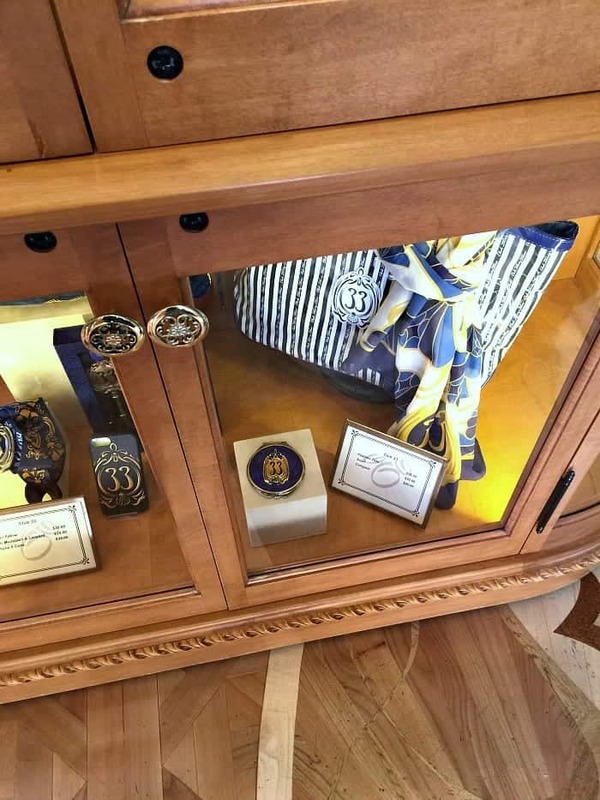 There were numerous pins, a hat, shirt, scarf, bag, paper weight, compact and even high end jewelry and watches on the other side in a separate case. So fun to look at! 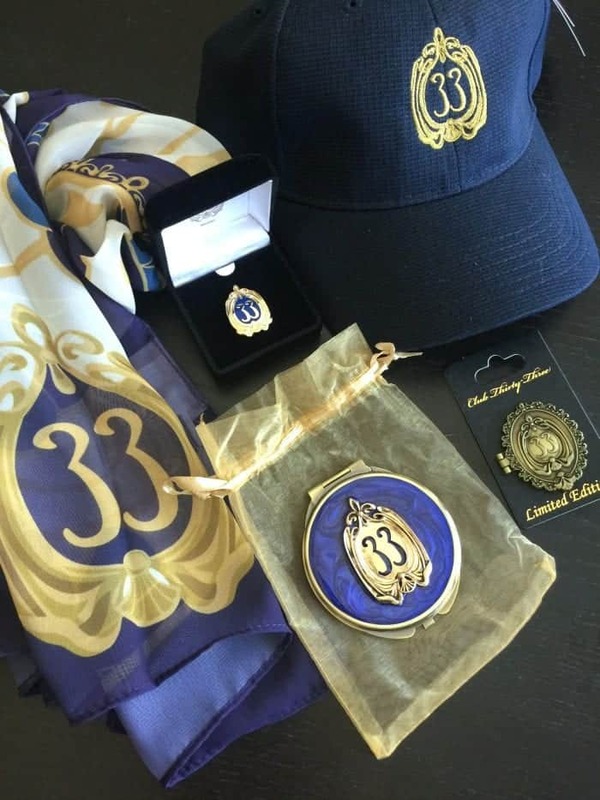 There’s the little Club 33 Compact, scarf, bag and it looks like an iPhone case too. Most of the things in this case ranged from $20-100ish. I picked up the Club 33 scarf, baseball hat, two pins and a compact for my purse 🙂 So fun!! 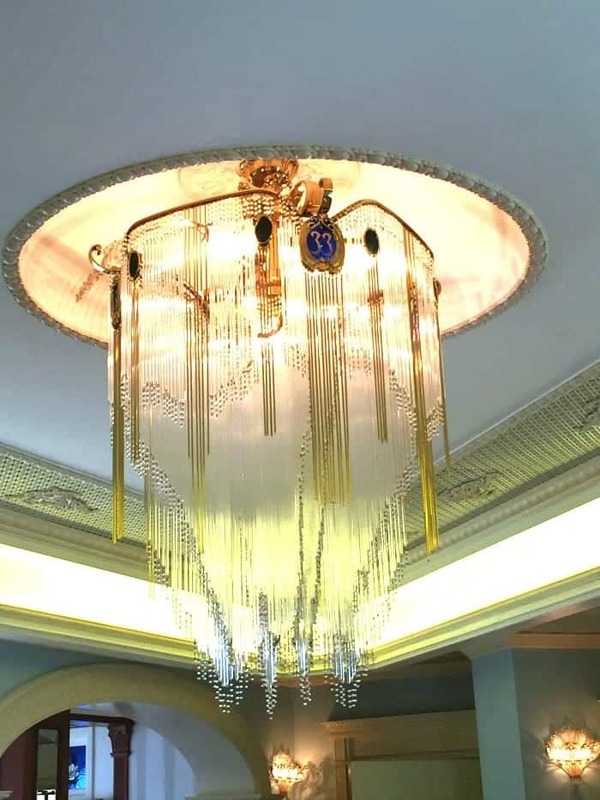 The beautiful chandelier above the Club 33 entrance. Very pretty in person. If you are standing at the check in counter upstairs, this hallway is to your right. 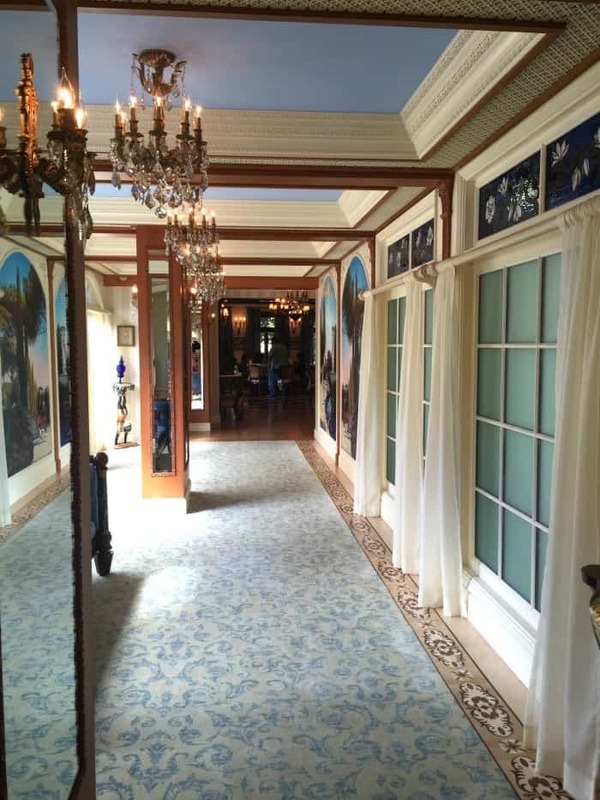 This takes you into the Club 33 dining room where you are served a 5 or 6 course meal. 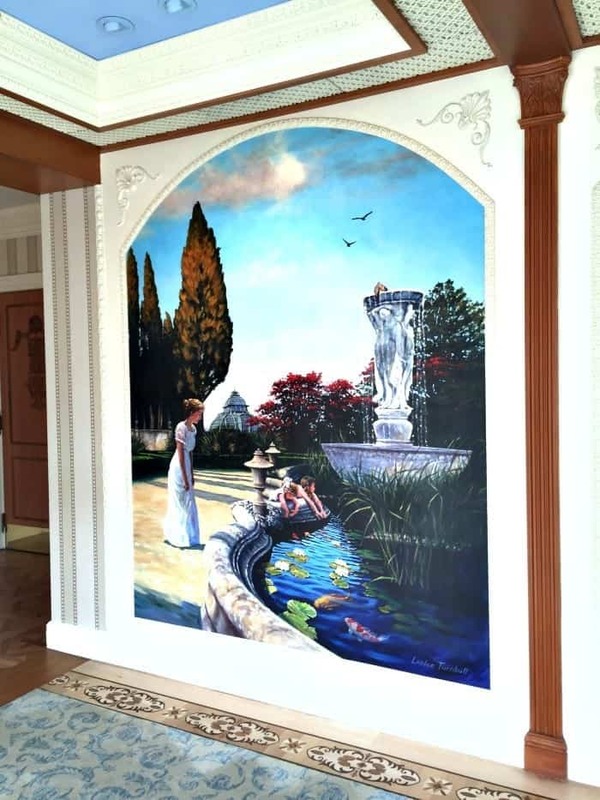 Beautiful murals on the walls of the hallway leading into the dining room. 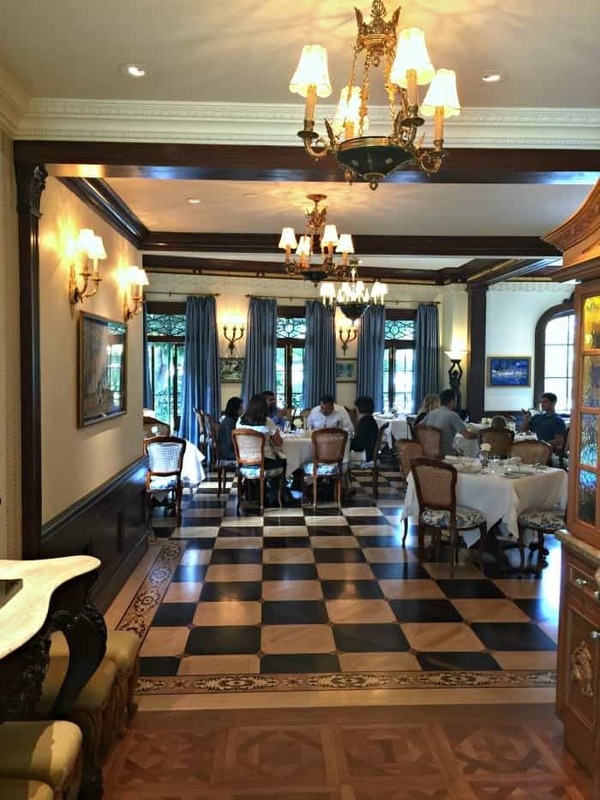 Here’s a glimpse into the main dining room. Love those checkered floors! 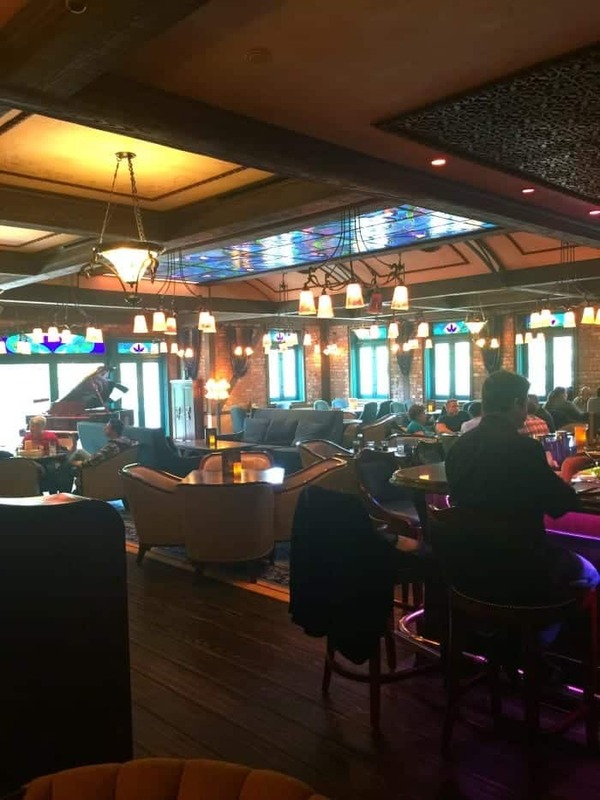 The whole atmosphere and decor reminded me of scenes of the Titanic ship with Kate and Leo. Loved it! A little side table in the dining room. 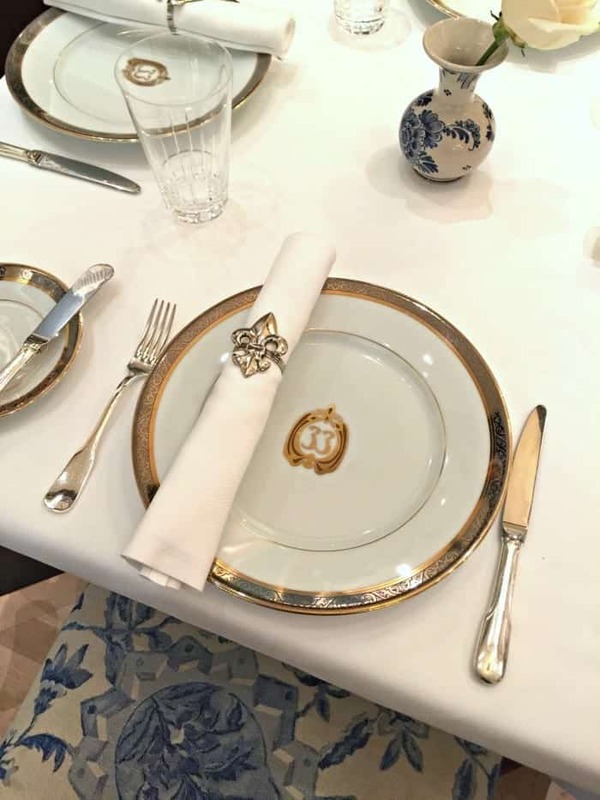 Look at this place setting! 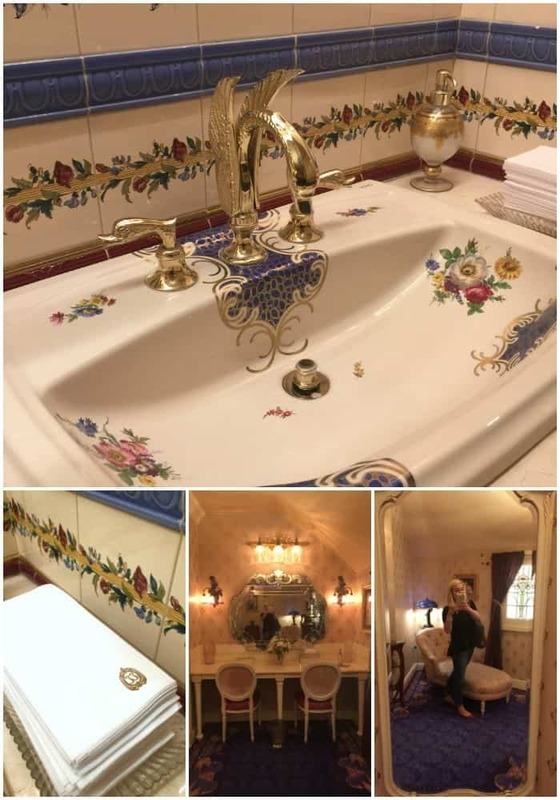 The ladies room was so dreamy! 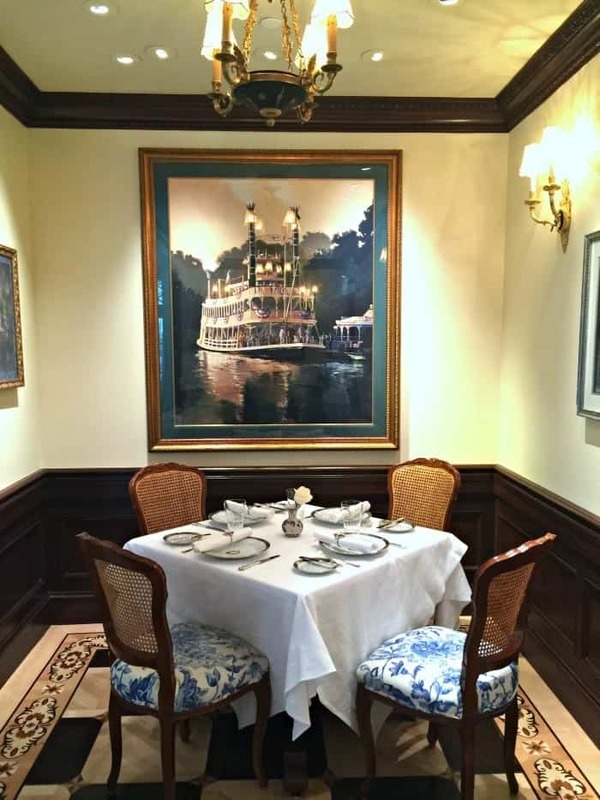 We spent most of our time sharing menu items in the newly remodeled Club 33 Lounge. I learned that only Platinum Members are allowed in here any time they’d like. 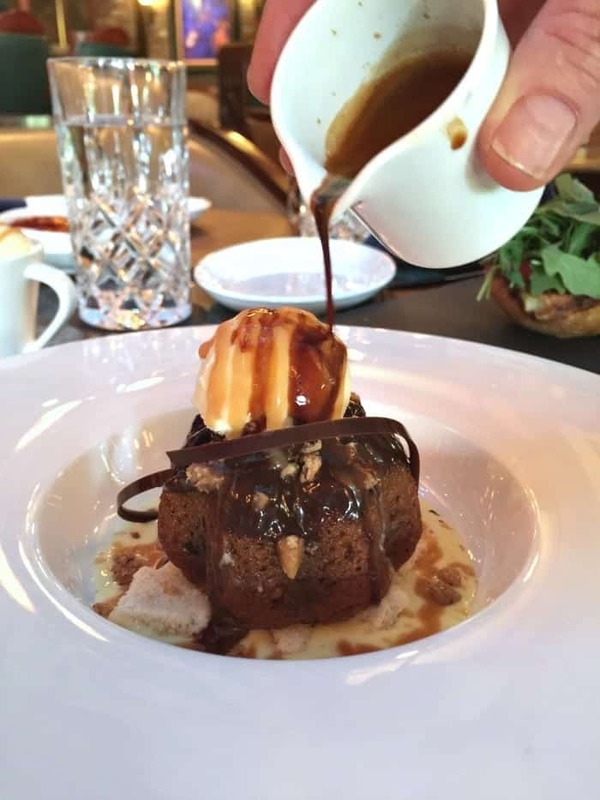 Gold Members get limited time and menu options. It’s very fascinating. 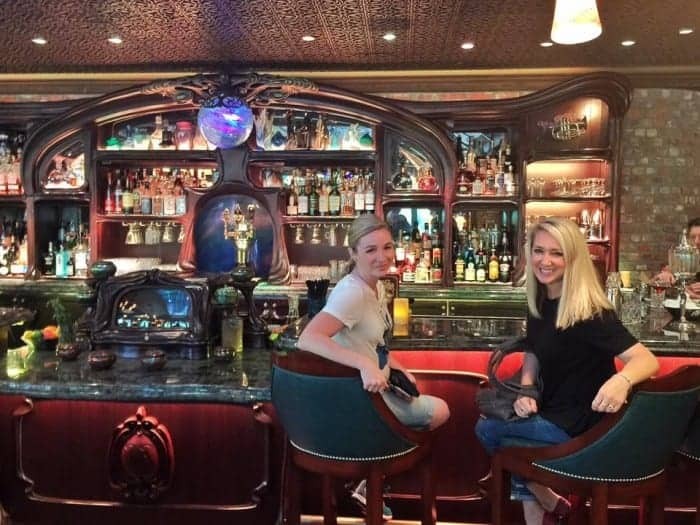 Kacie and I enjoying the beautiful lounge! 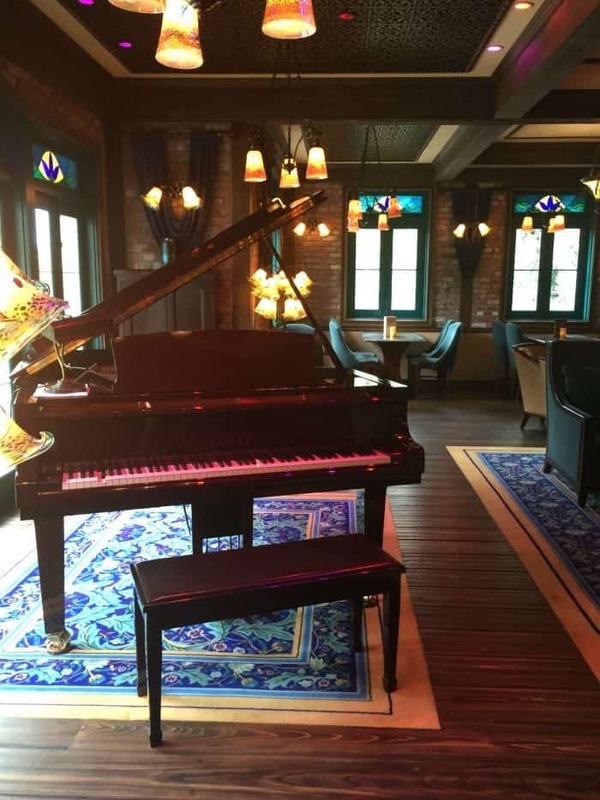 This lovely grand piano by the window plays while you enjoy your time in the lounge. 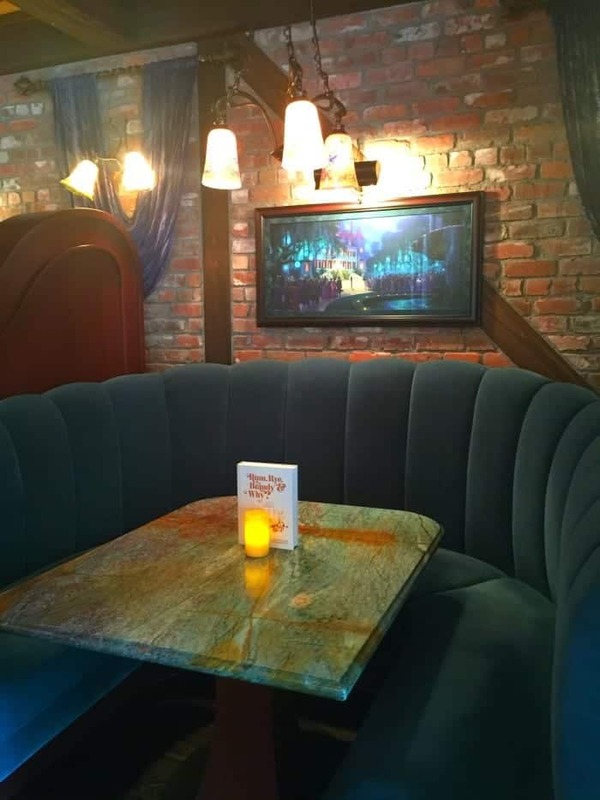 Love this comfy plush booth. The artwork in the hall area part of the lounge move as you watch it. If you watch closely, you get to see the pictures change. So cool!! More interactive artwork in another booth area. 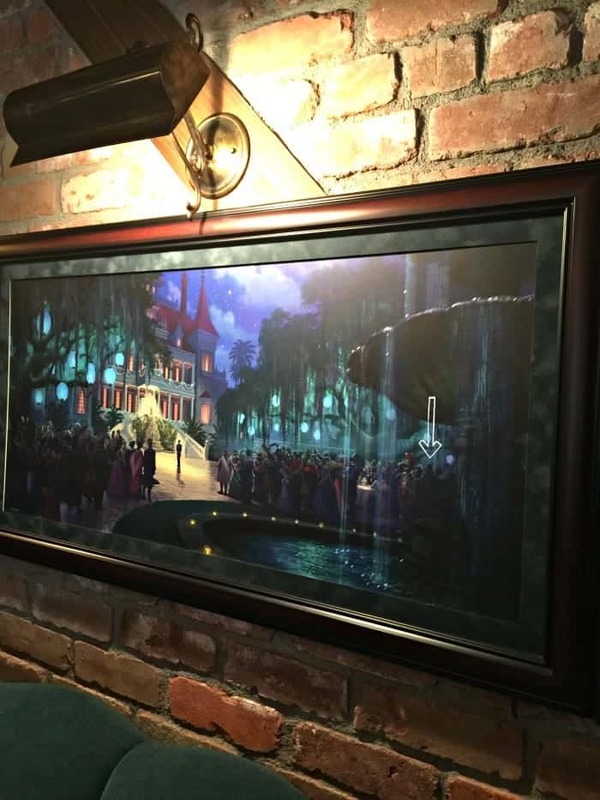 This Haunted Mansion painting was really cool. The bird up front moves, it starts raining and even more cool things happen inside the photo. 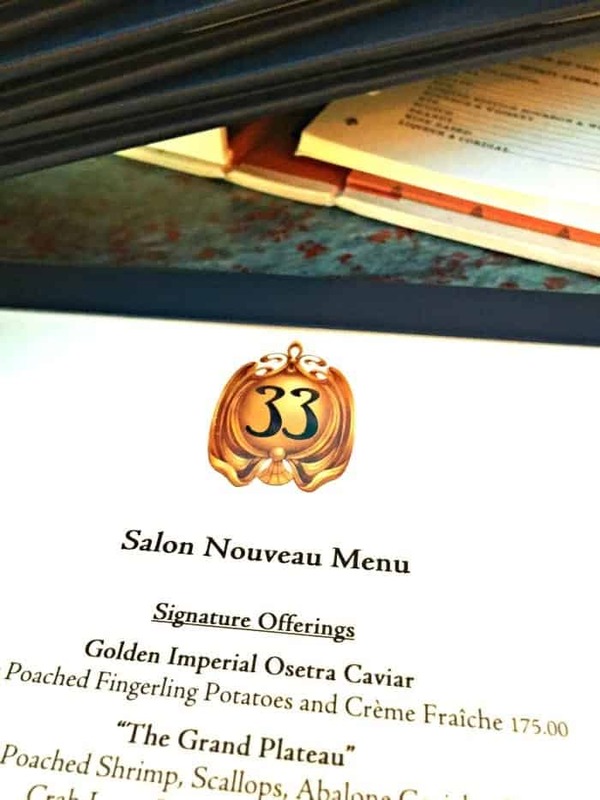 When we sat down for lunch, we decided we’d just share the new Club 33 Burger and some desserts, since we’d been eating throughout the entire day, lol! 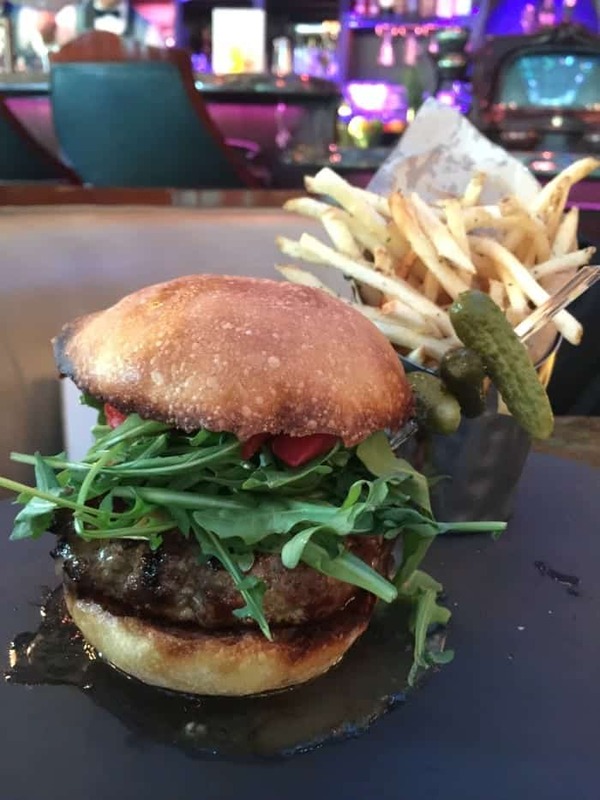 This Club 33 Burger was hands down one of the best burgers I’ve ever had. Just perfect! 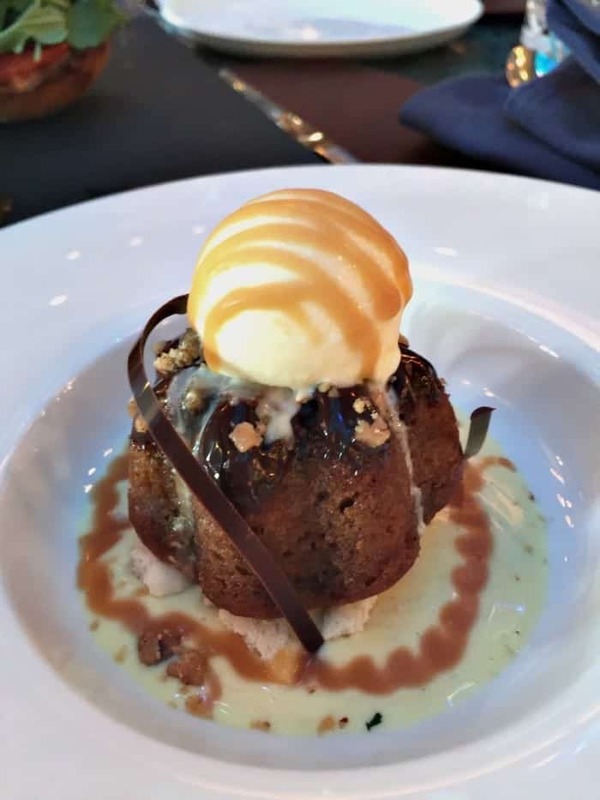 This little bundt cake with chocolate, caramel and espresso was to die for!! This was the Chess Pie. 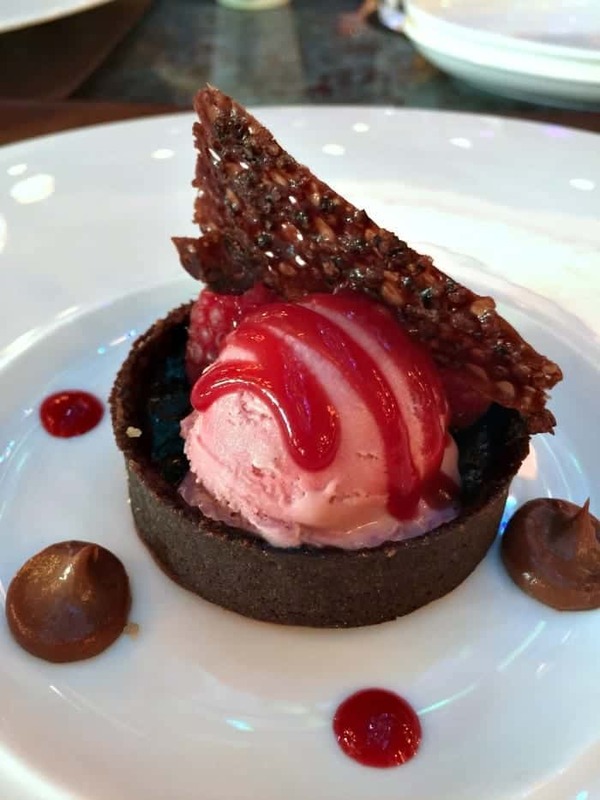 Delicious chocolate crust with a lovely strawberry gelato and nut brittle. Really loved this. I won’t ever forget this day! What fun memories I’ll always have. So grateful for this experience. Hope you enjoyed the tour!! If you enjoyed this, Pin it! Oh my gosh Jenny, you know I am totally dying over here! Love, love, love everything about it. Someday. Donna!!! I was in awe the whole time! Awesome review! 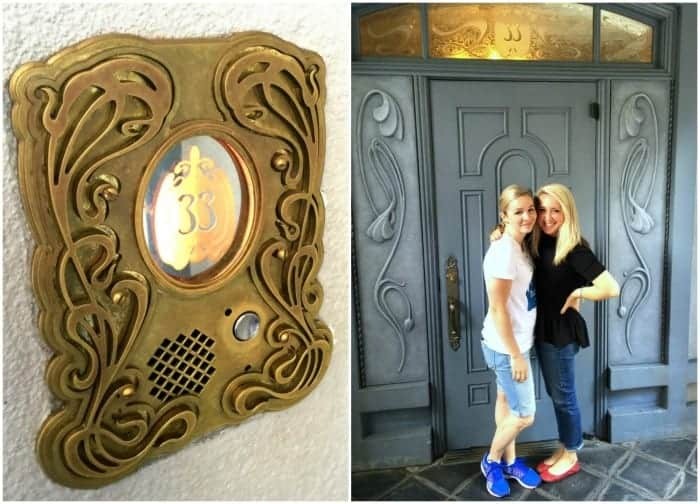 Thank you so much for all of the wonderful photos, I love to get a peek inside Club 33! So happy I could share them!! That is so cool! I want to know how much the burger cost! ? What an incredible experience!! I can’t wait to see what you bought!!! That looks just fantastic! Great photos of everything and I am looking very close at every detail. Beautiful! OMG!!!! Thank you for sharing your experience. It is just as beautiful as I imagined. What an exciting adventure. I’m so happy for you! Jenny, what a cool day! 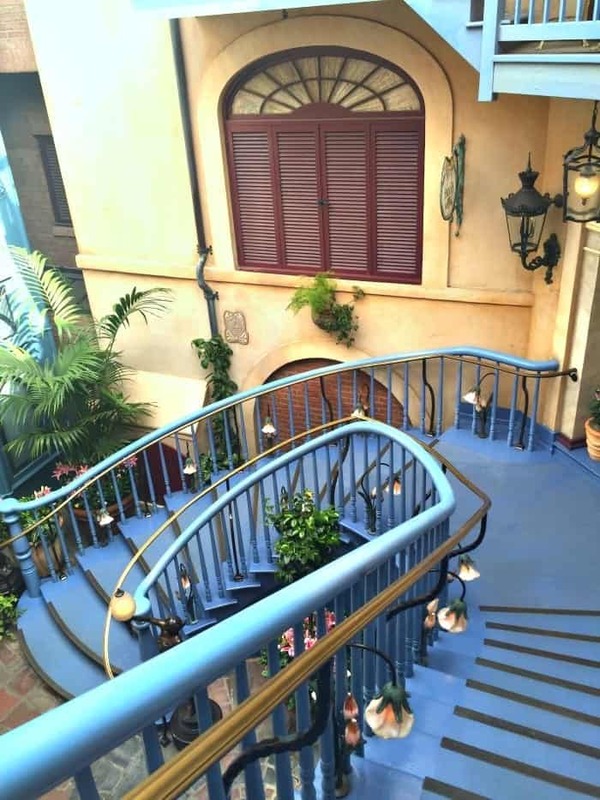 I hope I can check out Club 33 one day. 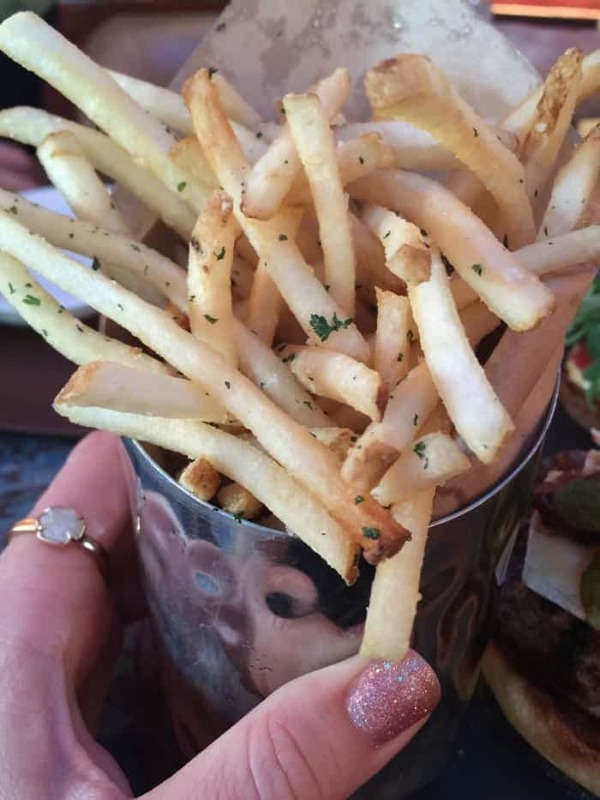 Those fries definitely look perfect. 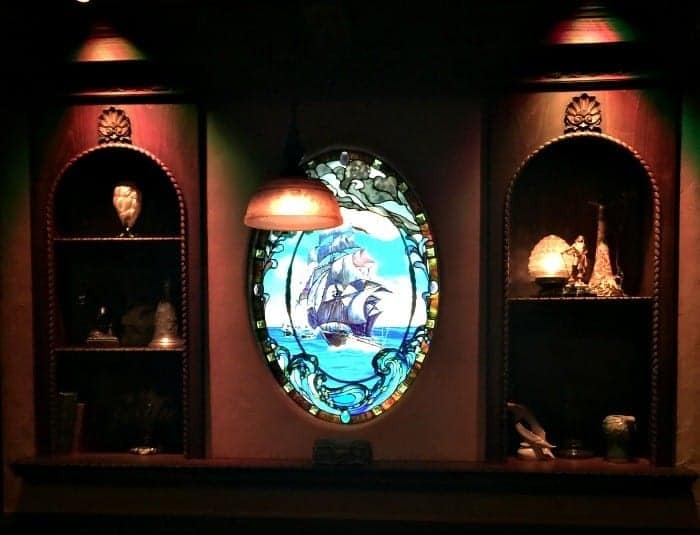 Your Club 33 Tour was amazing and the food and decor looked fabulous. What an experience to remember. 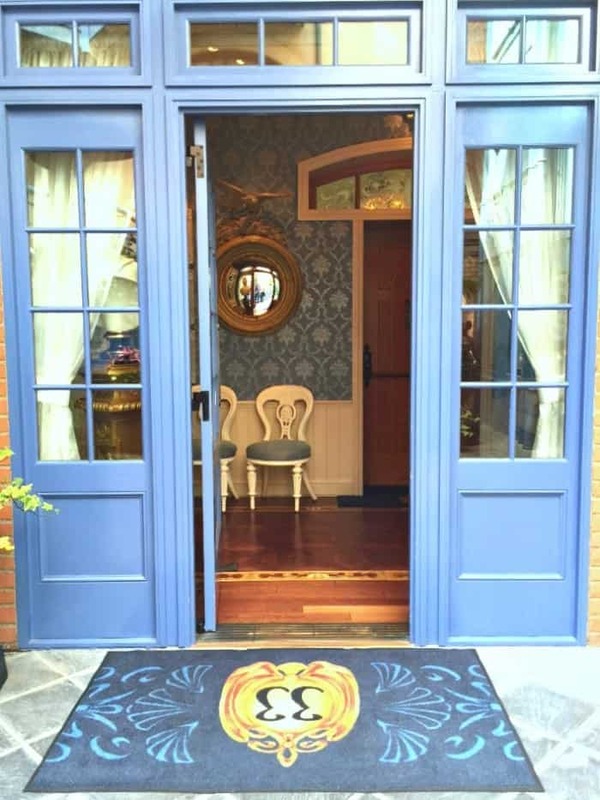 Would love to have an opportunity to visit Club 33. Such a neat experience. Every time we go to Disneyland I’m dying to know what’s in there. How to you get a chance to go eat there? 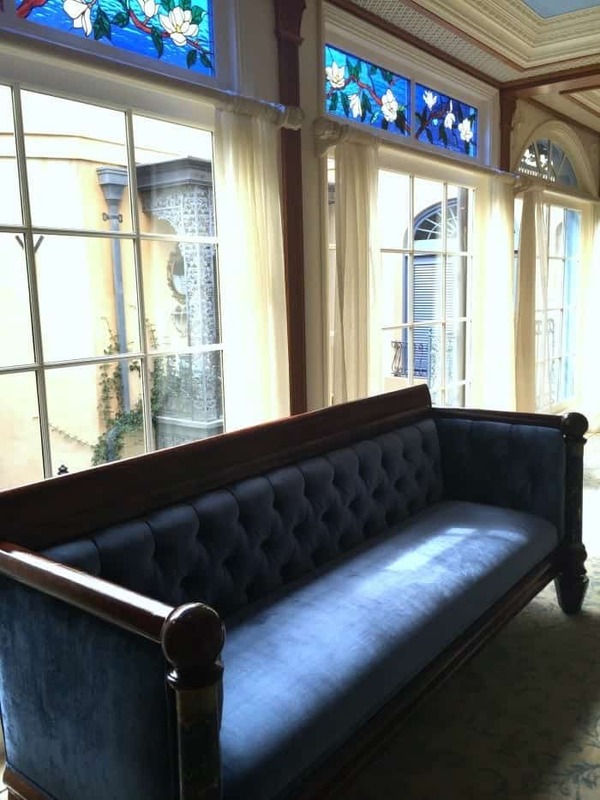 Do you have to pay a fee to be a club 33 member and what other perks does a club 33 member get?